During the European Space Solutions in Prague, Czech Republic, 11-14 June 2014. Dr. Ta Hai Tung has been interviewed by the European GNSS Agency (GSA) for the activities and the roles of the NAVIS Centre in the South East Asia (SEA) region. The interview, which was just released on the website of GSA, was a good opportunity to introduce not only the Centre itself, but also its capabilities, as well as its readiness to be the bridge between Europe and SEA in the field of GNSS, in particular the European GNSS system - Galileo. Based in Hanoi, Vietnam the International Centre for R&D of Satellite Navigation Technology in South East Asia (NAVIS) is on a mission to give satellite navigation technology – particularly Galileo – a boost in the region. To learn more, the European GNSS Agency (GSA) recently caught up with Navis Director Dr. Ta Hai Tung. NAVIS’ Dr. Ta Hai Tung Galileo’s civil nature makes it an attractive option for South East Asia. Asia within the GNSS sector. Specifically, it aims to promote cooperation between EU and South East Asian actors, promote European GNSS technology, and reinforce international collaboration among players. To achieve this, the NAVIS Centre is conducting research, training and awareness initiatives in collaboration with a growing network of international institutions from Asia-Pacific and Europe. NAVIS also provides support to regional policy makers on GNSS technical issues relating to the development of regulations and standards. The GSA recently caught up with NAVIS Director Dr. Ta Hai Tung to learn more. GSA: What is the main focus of your work at the NAVIS Centre? Tung: Our core function is to develop satellite navigation in South East Asia. Of course doing this involves numerous actors, not only from the Asia-Pacific region, but Europe too. Together we are conducting ongoing research and coordinating workshops and conferences that give these actors an opportunity to come together and share their findings. In fact, since 2012, together with other partners, we have been actively involved in organizing the Asia-Oceania Regional Workshop on GNSS (AORW), which is an annual key event in the region. The previous one, held in Hanoi in December 2013, attracted 160 participants from 17 countries. The next edition, AORW-6, will be in Phuket, Thailand from 9 to 11 October 2014. What kind of results is your research producing? A major milestone for us happened last year when we became the first in Asia to make a Galileo fix. This accomplishment earned us a commemorative certificate from the European Space Agency (ESA). In addition, we are very active in developing regional GNSS systems and supporting companies and governments in their satellite navigation actions. In this sense, we serve as a bridge between European GNSS and South East Asia. Why the focus on Galileo? Since 2004, our main focus has been promoting Galileo and its benefits to South East Asia. This is important because, as a region, we lack our own satellite navigation capabilities and thus will depend on other national or regional systems. There’s a lot of competition coming from Russia, China and Japan – each looking to tie South East Asia to their GNSS system. However, the majority of these systems are military based or controlled, which of course raises concerns for us. This is what makes Galileo so attractive, it is being developed and will be operated as a civilian programme. 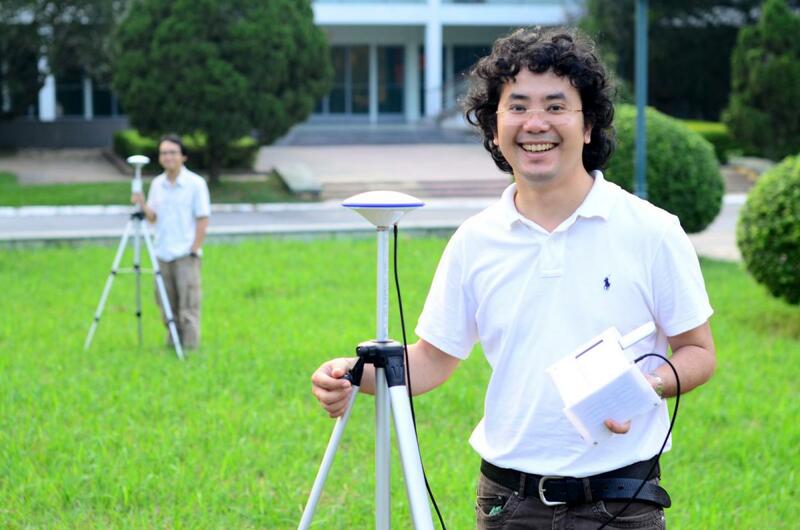 Do you have a sense of how the South East Asian GNSS market looks? The potential here is substantial. From my visits with regional companies, there is significant interest in satellite navigation. In fact, the Vietnamese government has recently issued a regulation that requires all vehicles used to transport passengers or goods to be equipped with ‘black boxes’ capable of relaying data – which will come from GNSS technology. Many of these local technology companies are looking for suitable providers, but tend to look towards US/Japan/China companies instead of European ones. Our job is to be here, on the ground, letting companies know of the many benefits that Europe – and Galileo – have to offer. The International Centre for Research and Development of Satellite Navigation Technology in South East Asia – the NAVIS Centre – has been set up by the SEAGAL project (2009-2010), an action co-funded by the Seventh Research Framework Programme (FP7) of the European Commission, Call GALILEO-2007-4.3-01, Grant Agreement No. 228061. The collaboration between Europe and NAVIS is still going on thanks to the Growing NAVIS project (2012-2015), co-funded by the Seventh Research Framework Programme (FP7) of the European Commission, Call GALILEO .2011.4.3-1 International Cooperation and Awareness, Grant Agreement No. 287203. The NAVIS Centre is located in the Hanoi University of Science and Technology and is managed in agreement with the following supporting institutions: Politecnico di Torino (Italy), Istituto Superiore Mario Boella (Italy), Universitat Politecnica de Catalunya (Spain) and Hanoi University of Science and Technology (Vietnam).